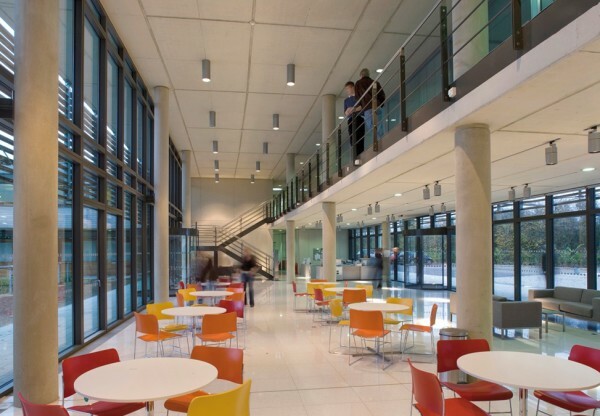 This centre has been sensitively integrated into the site to minimise its impact on the landscape whilst at the same time acting as a landmark design to signal the regeneration of Luton, following the closure of the Vauxhall car plant. 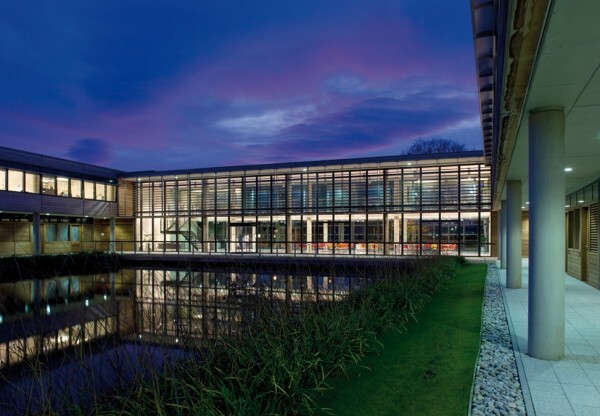 Designed to provide flexible space in order to accommodate future changes in occupier demand, the building provides space for new companies engaged in innovation and high technology activities. 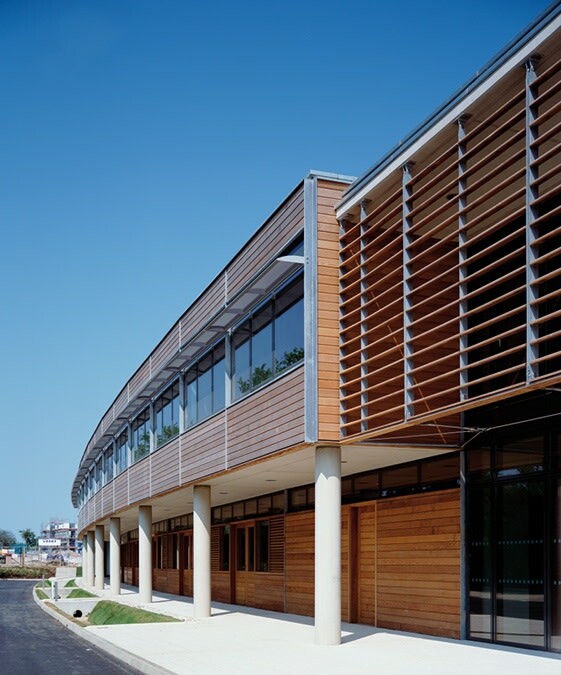 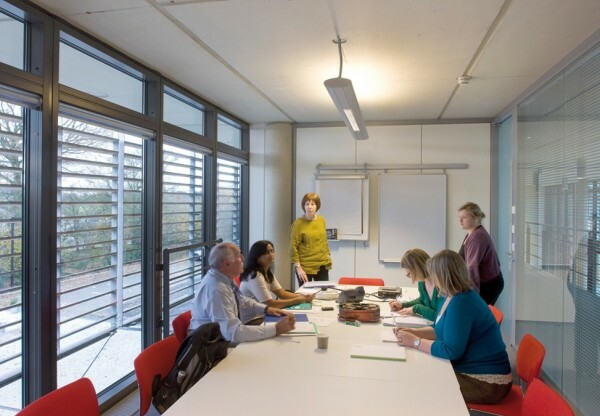 A high-quality building with a BREEAM Excellent rating was achieved within the constraints of a tight budget by integrating simple but significant key design decisions early in the design process. 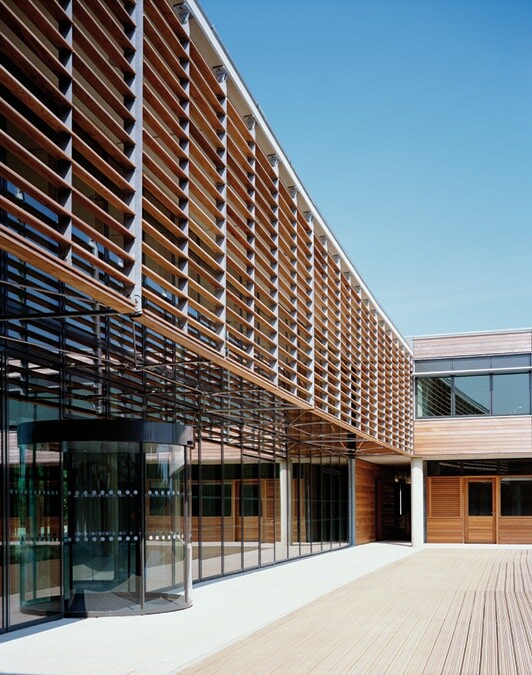 The building is naturally ventilated and contains automatic opening vents to provide night time cooling. 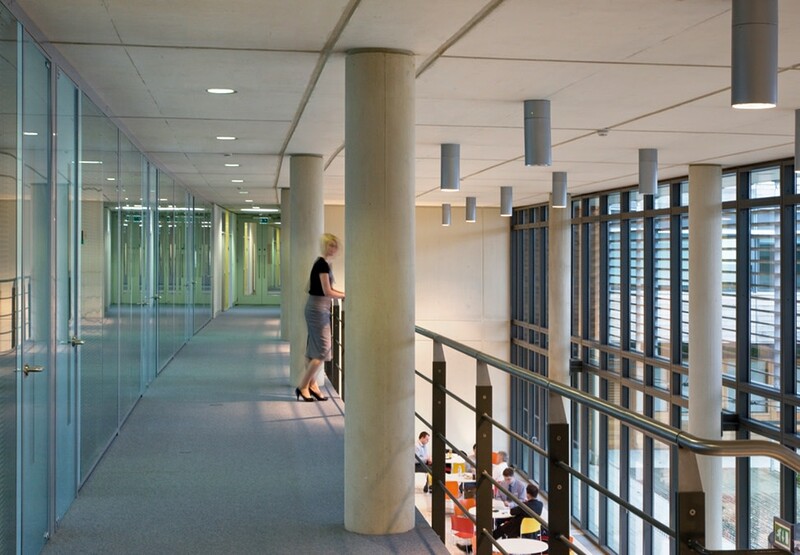 Exposed concrete soffits provide thermal mass to help moderate temperature fluctuations. A large and visually-balancing lake in the centre of the development and a flood meadow at the southern end of the site provide support for a wide range of wildlife while helping to deal with the rainwater runoff from the roof.